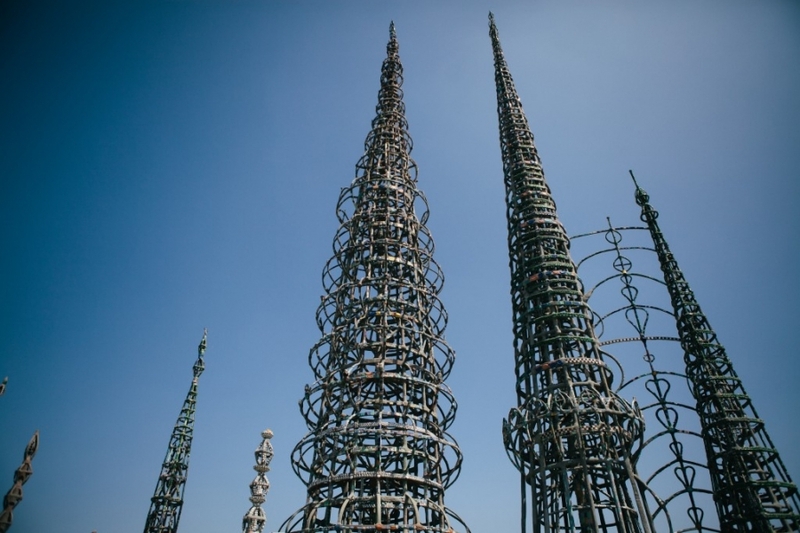 Towers in the middle of Watts – created over 30 plus years by an Italian immigrant. 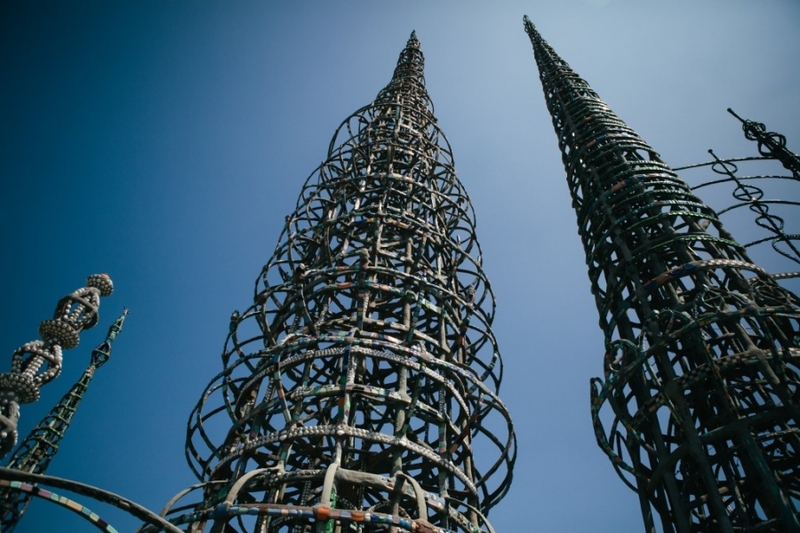 A beautiful rebar and mosaic masterpiece. 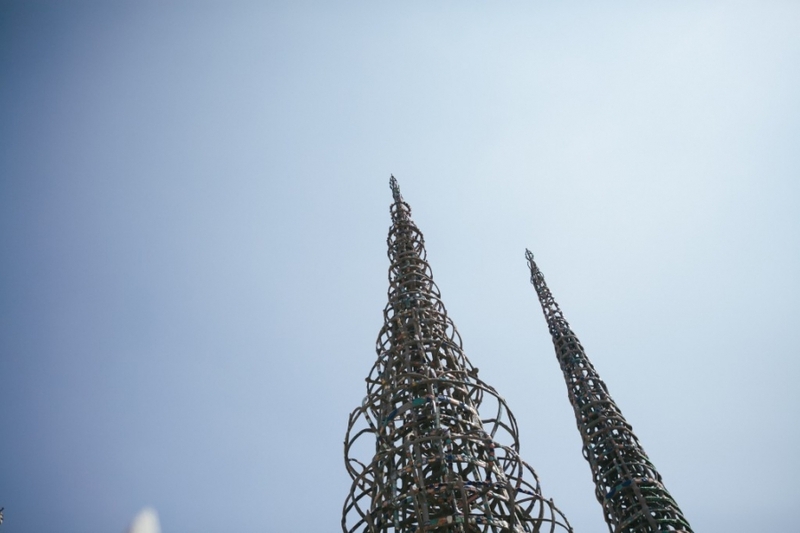 You can read about him here: http://www.wattstowers.org/.